While hampered by difficult installation and management, Lockly’s unique features deserve a look. Lockly’s big sell is that most smart locks aren’t very smart at all, that “90 percent of smart locks can easily be accessed by individuals who you do not want in your home or office.” Lockly hints at the reason for this problem (more on this later), but it’s ultimate claim is that Lockly’s devices are more secure. While that might be true, one has to wonder: With a lock so difficult to install and manage, how much security can it really provide if it never makes it out of the box? Operationally, Lockly takes the smart lock in a few different directions than the typical lock. It has nearly all the features you could look for: Smartphone control, touchscreen access, a failsafe lock for a physical key, and even a 9-volt battery backup on the exterior if your AAs fail while you’re outside and you don’t have your key. The lock is available in six total combinations of door type (deadbolt or latch, with a sturdy handle), finish (satin nickel or Venetian bronze), and security level (Secure or Secure Plus). Secure Plus (reviewed here) includes a fingerprint reader—a rarity in smart locks—while the Secure version does not. 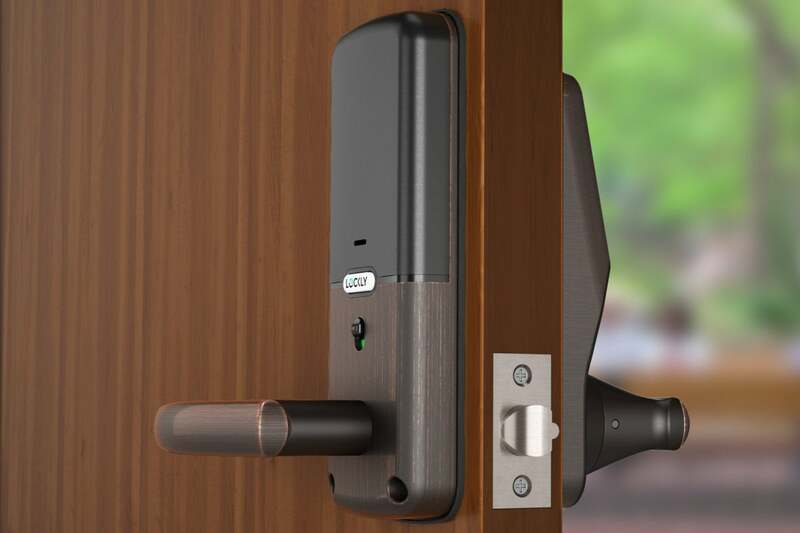 As with many smart locks, Lockly has a very large estucheon on the interior side of the door. The biggest twist with Lockly can be found on the touchscreen. Rather than a static 10-key pad, Lockly organizes digits into groups: Four buttons appear on the lock, with three digits on each (some digits are repeated). The configuration of these buttons changes every time the keypad is used, so a button may show 418 on one use, then 792 on the next. To input a PIN, you press on the pad where the relevant digit appears—but this is always moving around every time you open the door. The concept behind this is that fingerprints easily adhere to keypads, and if you’ve ever seen a heist movie you know that a clever thief can use these prints to reveal the PIN used to access the door (or at least narrow down the possibilities considerably). By dynamically changing the location of digits on the pad, this little trick is easily foiled. Kwikset offers a less sophisticated solution to this problem on some of its locks: It displays two digits at random that you must press before you enter your PIN, so that every number eventually gets a fingerprint over time. Sending codes to visitors is an exercise in confusion. While Lockly has all of those features going for it, it’s critical to know going into things that it’s a real monster to install. While the basic hardware design is similar to other smart locks on the market—with two fat metal escutcheons sandwiching your door and electronics running between them—putting this all together is a bit of a headache. The lock’s parts are heavy and awkwardly balanced, and they require more construction than they should. Various pieces must be snapped together unintuitively and—critically—the metal bar that connects the two pieces of the lock mechanically, allowing it to actually work, isn’t affixed to either escutcheon. It must be inserted manually, and in just the right way, or else the lock won’t work at all. The convoluted and obtuse instructions that come with the lock are little help in this: They make assembling IKEA furniture look like Lincoln Logs by comparison. Even Lockly’s packaging is confusing: Four steps worth of instructions are included to show you how to get the thing out of the box. Eventually I got everything put together properly, but only after disassembling and reassembling it four times. Put simply, a serious rewrite is in order here. 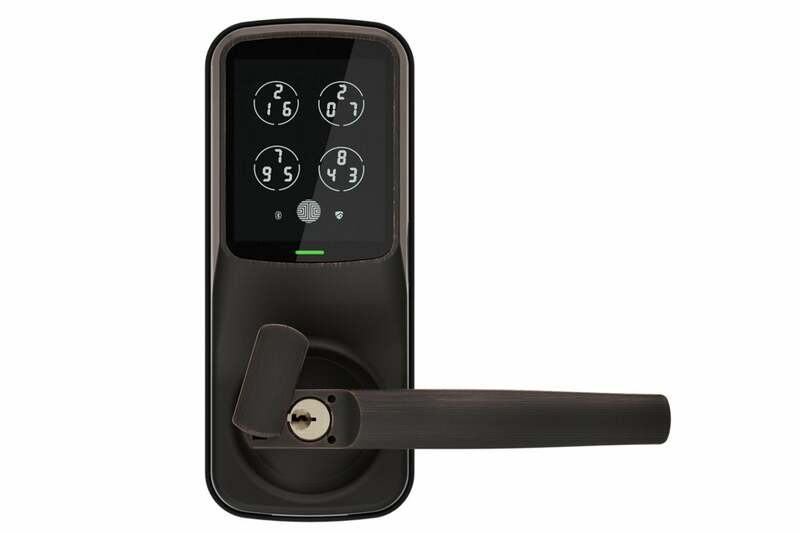 Using the Lockly Secure Plus is better, but its features are hit and miss. The Lockly mobile phone app is simple enough. On the home screen, a simple button lets you lock or unlock the device when you’re within Bluetooth range. It really couldn’t be easier. Registering a fingerprint is also surprisingly easy, easier than doing the same on my iPhone. Key features, such as setting up automatic re-locking after the lock is opened, are easy to find in the app, too. I had a lot more trouble creating access codes for new users, especially temporary ones. 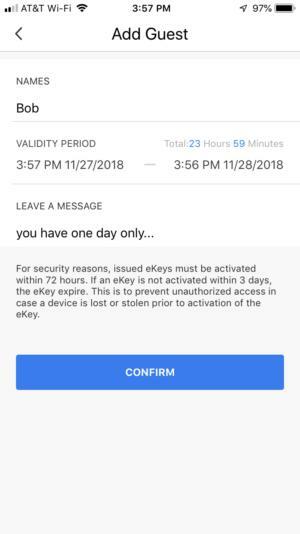 Lockly gives you numerous ways to create PINs, but its preference is to require users to download the app, link the phone to the lock with Bluetooth, and then enter a code to gain access. This is overkill for short-term visitors, especially since I had difficulty on some mobile devices finding the lock at all via Bluetooth. The good news: Lockly allows you to create numeric PIN codes without forcing users to use the app, but this too is overly complicated: The default code is 10 digits long, and for some reason the last four digits must be input twice when you first use the code. 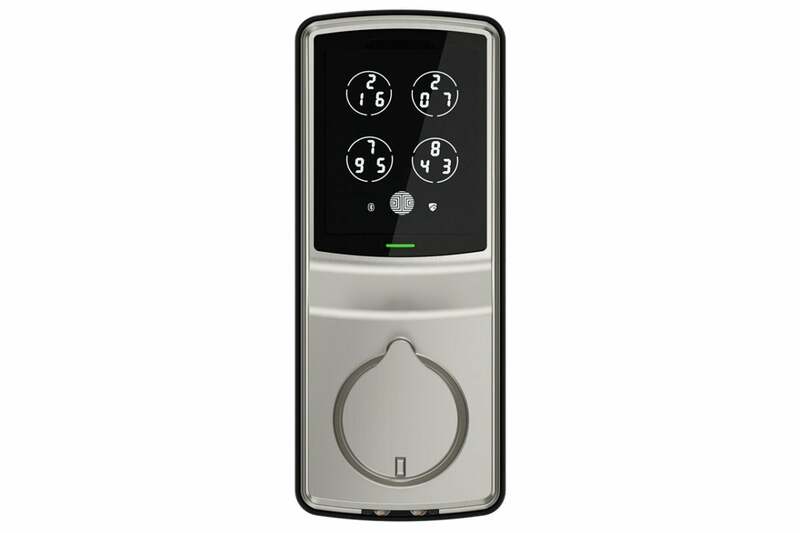 Lockly is also available as a deadbolt, without an entry lever. This is sent to users in a text message or email, with all of information embedded within an enormously tall image. On my phone, only the bottom half of the image displayed on the screen; all the important information (namely, the PIN) was hidden from view. It’s there if you know where to look for it, but for casual visitors who won’t know a thing about how your fancy smart lock works, it’s simply way too convoluted and buggy—even if you know what you’re doing. That said, is Lockly more secure than other smart locks? It is hack-resistant for sure, and the machinations Lockly puts you through makes it difficult to steal PINs transmitted via text or email. But that all comes at a very high price of significantly decreased usability. (It also has no connectivity to other smart home gear.) Ultimately, if you’re willing to tinker endlessly with the thing until some software and firmware updates are rolled out, it’s arguably worth consideration. Biometric security is the killer feature on this hardened lock; but setting things up is a nightmare.